In the maintenance department, we respond to inquiries from hotels & lodging facilities mainly via phone calls. Tap.Co.,Ltd was founded in 1987. Tap is involved in the whole cycle of development, installation and maintenance of Front System, Reservation System and several other Hotel Property Management Systems (Hotel PMS) useful in hotel management. The flexibility of our Hotel PMS allows it to be easily customized to meet the unique needs of different hotels. We have steadily grown our market share nationwide and currently about 700 facilities are using our Hotel PMS. In Okinawa alone, we count 41 leading hotels such as Terrace Hotels and Kanucha Resort Okinawa as our clients. We project that the number of hotels using our PMS will rise to 1000 by 2020.We are proud of our top position in the industry which has come about from research and development and expertise accumulated over the last 30 years. Hotels are in operation 24-7 so it is imperative for the Hotel PMS to be in working order 24-7 thus maintenance is very important.Our maintenance control team offers more than simple call center services. They are always up-to-date with the latest technical skill to support and trouble shoot and, if specialized skills is required, a team of system engineers is always ready to step in for speedy solutions. 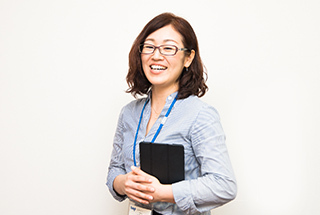 Human resource manager, Kinjo Yasuko. English class during working hours with a native English speaker. Currently, Hoshinoya Bali, to begin with, and other overseas hotel have installed our Hotel PMS. To meet their needs we have been globalizing our team of staff by employing foreign staff and development focused on international market. We put great effort in improving the language skill of our staff in expectation of increase of overseas clients in the future. We have small-group English class taught by a native speaker which focus not only on daily conversations but also on the English skills and technical words that are essential in operation of our Hotel PMS in an English environment. 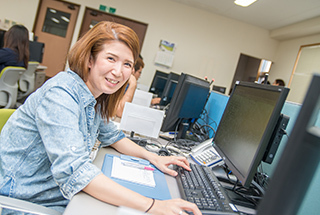 Furthermore, to encourage language improvement, Japanese staff who score 700 points and above in the TOEIC test, gets a monthly bonus of 20,000 yen for 2 years. To keep receiving the bonus after 2 year, one only has to sit for the TOEIC test again and get a score of 700 points and above. At tap, our research and development team is applying latest tools like artificial intelligence and data analysis to create mechanism and develop systems that will meet the needs of hospitality industry in the future. Dress code is mostly casual but formal wear is required when visiting our client’s premises. Everyone is free to express him/herself through fashion. As we operate 24 hours on shift, our staff don’t have assigned personal desks. After reporting to work, one just have to look for an open desk log-in and start working. Also our customer support team and SE rarely meets our client’s directly, so their dress code is more casual. Also, all staff can easily access the management staff and voice their opinion about work place and work in general. Tap’s PMS is highly specialized and keeps on changing to meet the changing industry and client’s needs. Therefore, irrespective of how long one has worked at Tap, our employees have to keep on learning and training to keep pace with the latest technology. Tap Company has a great OJT system, good salary and benefit that, even though most of the employees start as inexperienced fresh graduates, no new entrant has quit over the last three years. This is because employment process involves company visit, detailed work description which prevent mismatch between job position and skillset. Respond to all inquiries from our clients through phone or chat. 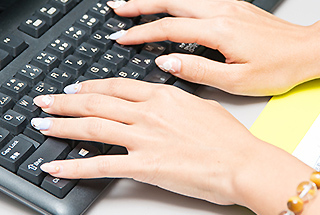 You will acquire professional skills regarding hotels and systems. Customer support to our clients who are mainly hotels and lodging facilities. 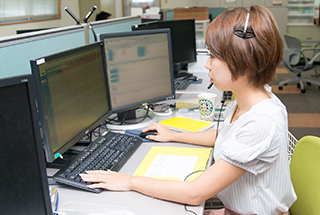 When you receive a call from our clients on a system’s problem, support request, trouble shooting, and or operation inquiry, you can collaborate with the SE, sitting in the same room, for speedy solutions. 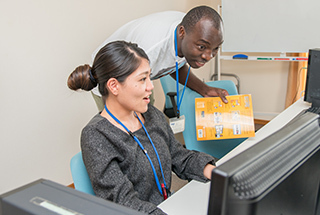 In addition to Japanese skills, we are looking for a person with English skills for our expanding overseas clients. 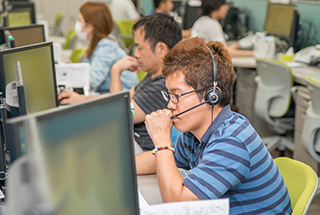 Customer Support Centre: answer phone calls and respond to all inquiries, troubleshooting, and operation support. ※Two-month training after joining the company. Two days a week according to the company’s calendar.